Childhood experiences shape the rest of our lives and being part of that journey is rewarding, challenging and often surprising. We have designed our diploma course in Childhood Studies to give you a strong foundation for a variety of future careers working with children. The AECD studies of six months full-time diploma give you the opportunity to continue your studies and focus on a special area. 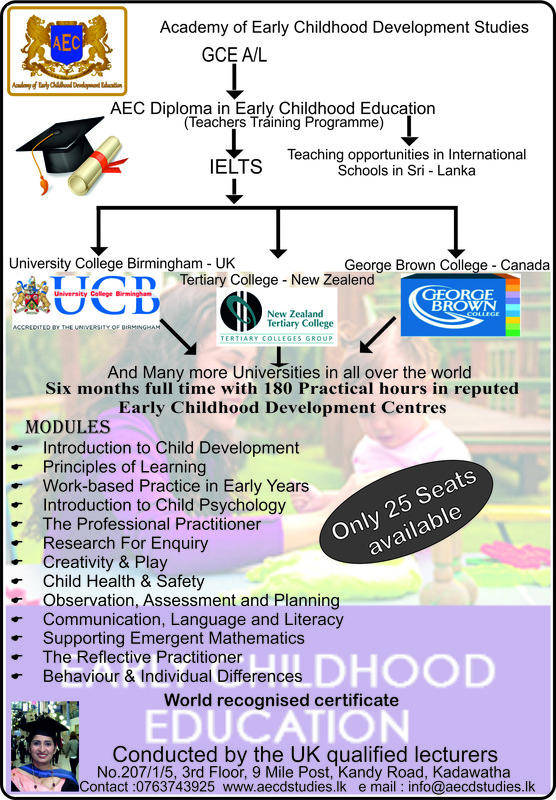 In addition to deepening your knowledge of child development, child care centre administration, and family relations. Our course gives you the academic knowledge to succeed in this constantly-changing field as well as an in-depth understanding of children’s social, physical, emotional and intellectual needs. You are given the opportunity to turn theory into practical skills during a variety of work placements, including nurseries and schools. Copyright © 2018 AECD Studies.